Roundworms are a widespread intestinal parasite in dogs. Humans can be infected with them, too, and they can catch them from their own dogs or others in the area. Roundworms are parasites that live in the intestines. They can also be called nematodes or ascarids, and two main species affect dogs: Toxocara canis and Toxocara leonina. These parasites are called roundworms because the adults are long and have a rounded shape. They look a bit like spaghetti to the naked eye. Roundworms are quite common in dogs, especially puppies. They are highly contagious between dogs, and cats can also be infected by T. leonina. Canine roundworms can infect people, too, and that can be quite serious (see below). T. canis has a complicated lifecycle. An animal that is infected with T. canis delivers eggs through the stool into the environment. Over the next month, those eggs develop into an infective stage. When a dog runs through the area and then licks his feet off, he becomes infected. Other animals can be infected, too, like rabbits or rodents. The eggs hatch in the host's intestinal tract, and the worms burrow out of the intestines and into other body tissues, where they form cysts. The cysts can stay there for months or years. Eventually, the larvae come out of the cysts and travel to the dog's lungs, where they can cause pneumonia. They can also be coughed up and swallowed, which restarts the life cycle back in the intestines. In a pregnant dog, the larvae go to the uterus and infect the puppies instead of going to the lungs. Puppies can also be infected by drinking their mother's milk. The cysts present in other animals, like rabbits, don't come out of the body tissues. They merely wait for a dog to eat the host and then infect the dog. T. leonina has a simpler life cycle. It does not have the step in its development where it migrates out of the intestine and encysts in other body tissues. When humans become infected with T. canis or T. felis (a feline roundworm that has a similar life cycle as T. canis), it can be quite dangerous. As the larvae leave the intestine and travel through the body tissues, the person can suffer from pain and fever. If a large number of larvae migrate at once, it can be dangerous and even life-threatening, and this is most common in young children. Sometimes, larvae get mixed up on where they're going when they're inside a human body instead of a canine one, and they end up in the eye tissues, where they die. This creates a tremendous amount of inflammation in the body as the immune system works to get rid of it. The result is vision loss and blindness, which can be permanent. It's called ocular larval migrans, and about 1000 cases of it are seen every year in the US, mostly in kids. Human infection with roundworm eggs happens when the person eats dirt contaminated with them. It takes about a month for eggs in fresh stool to deteriorate and become infective in the soil. People can also get roundworm by eating the undercooked meat of an infected animal. Sometimes, infection can occur when a pet is allowed to lick a person's mouth or by petting the dog and then eating something without washing hands first, but this is thought to be rare because the dog would need to have infected dirt on its tongue or fur for that to occur. It's crucial that children are taught to keep their hands away from their faces and always to wash their hands after playing outside or with a dog or cat. Additionally, keeping your dog dewormed routinely is an important way to cut down on human infections, as is picking up and disposing of fresh stool. Be sure to thoroughly cook meat before eating it or giving it to children. Fresh stool doesn't spread roundworms. The eggs must mature in the soil for about a month before they are infective, so cleaning up stool promptly helps decrease soil contamination. It also helps keep dogs from reinfecting themselves with their own stool. 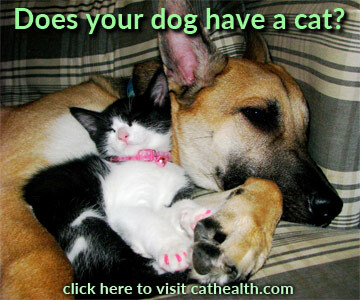 Many heartworm preventatives also contain a dewormer. Using those really helps decrease environmental contamination. Many medications effectively kill adult roundworms in a dog's intestinal tract. However, none of them kill all stages of the lifecycle, so dogs must be dewormed at intervals as the roundworms mature to adults in their intestines. Follow your veterinarian's instructions on dewormings carefully, and don't skip follow-up dewormings. Additionally, your veterinarian will probably check your dog's stool samples repeatedly for roundworms and other intestinal parasites after the first diagnosis, and puppies, especially, should be checked several times throughout their first year. After that, follow your veterinarian's recommendation for stool sample frequency, usually once or twice a year. Hunting dogs should be routinely dewormed and checked more often for parasites because they have higher exposure to wildlife that might be infected. When an infected dog is dewormed, live roundworms might come out in the stool or vomit, so don't be alarmed if you see that. This means the dewormer is working.